Dorothy Goodman, retired GBIM missionary to Africa shown here with her husband, Marvin, several years ago, is celebrating her 89th birthday today, June 12. Greetings may be e-mailed to her at mgoodman3@gmail.com or cards sent to 183 Grace Village Dr., Winona Lake, IN 46590. 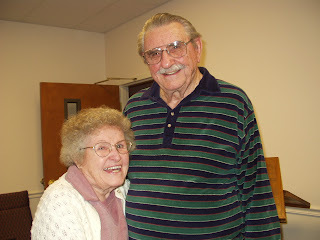 Marvin and Dorothy will be celebrating their 64th wedding anniversary on June 16.